 Residents of Grace Woods apartments enjoy exceptional amenities that include two sparkling swimming pools; fitness studio; leash-free dog parks; cyber cafe; clothes care centers; new online services; and proximity to all of the parks, trails, and leisure activities that Austin has to offer. Pet Policy: We welcome 2 pets in our apartment homes. There is $200 pet fee (non refundable), pet deposit is only 87.50 through Deposit IQ bond and $10 monthly pet rent. Aggressive breeds will not be permitted. For more information, please call our leasing office. Parking Comment: Surface lot parking available for our residents.